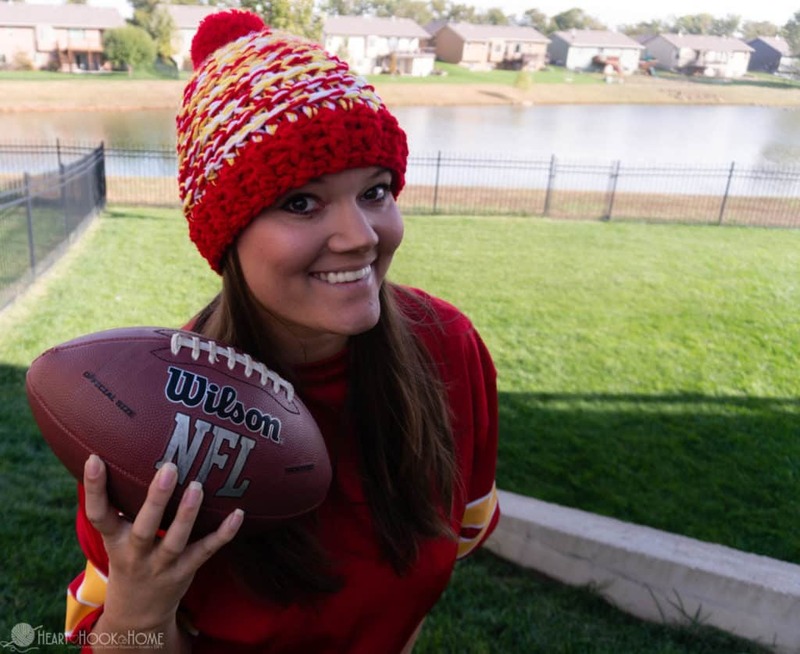 It is football season and what better way to show your team spirit than to wear a cute, crocheted beanie in your team’s colors?! Whip one up with this free crochet pattern! 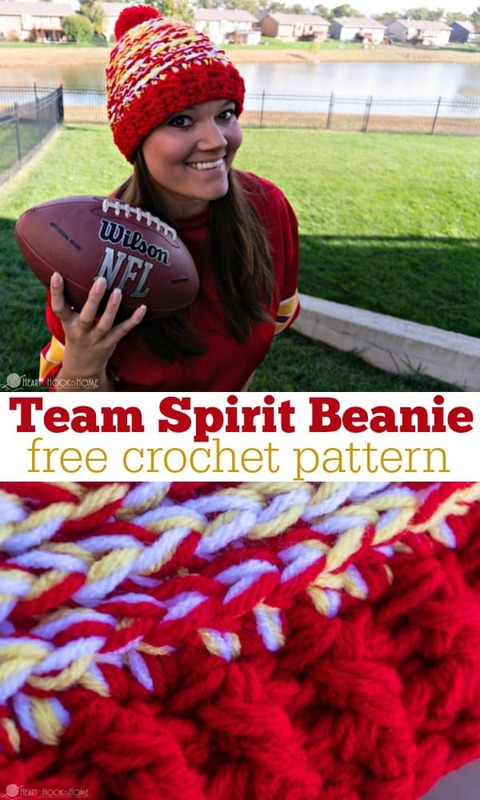 This team spirit beanie pattern uses three strands of worsted weight yarn held together. It is actually the same pattern as the Libby Beanie, which you can find here. 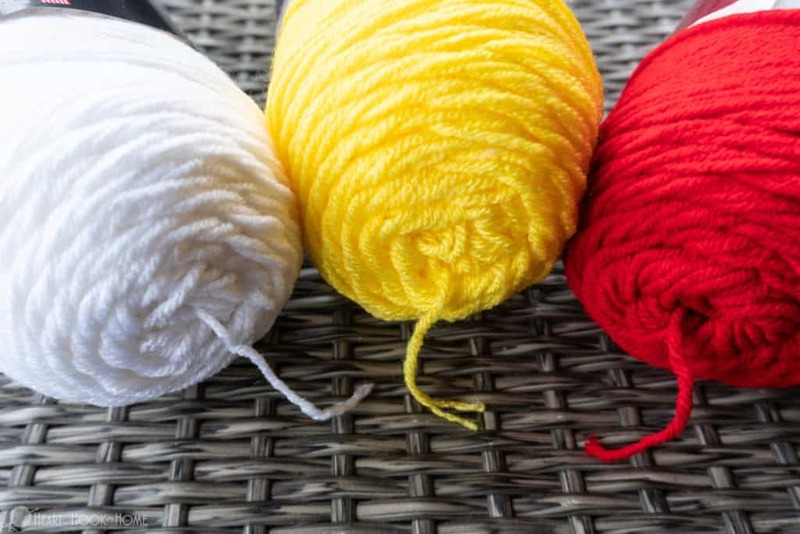 You’ll want to pick the three colors of worsted weight yarn that best represent your team. For example, I used Red Heart Super Saver in “white“, “bright yellow“, and “cherry red” for the Chiefs. 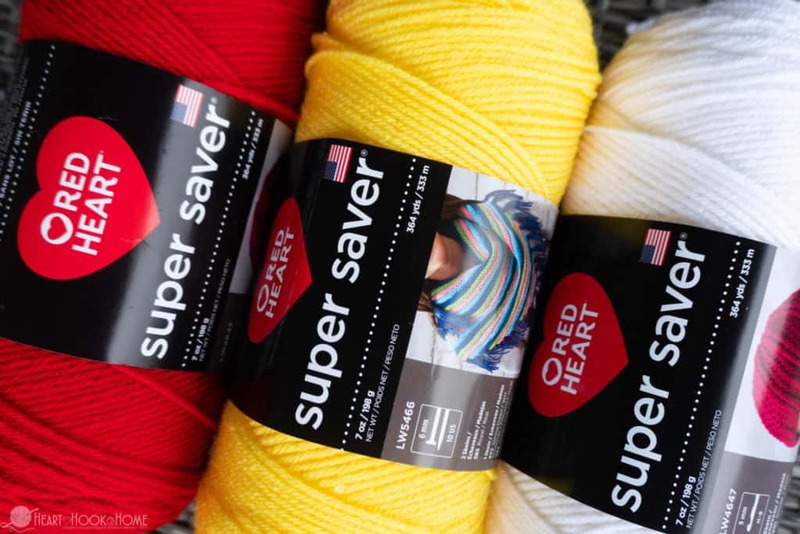 If you have three of the regular (7 oz) skeins of Red Heart Super Saver, you would have enough yardage to able to make a total of FOUR team spirit beanies! 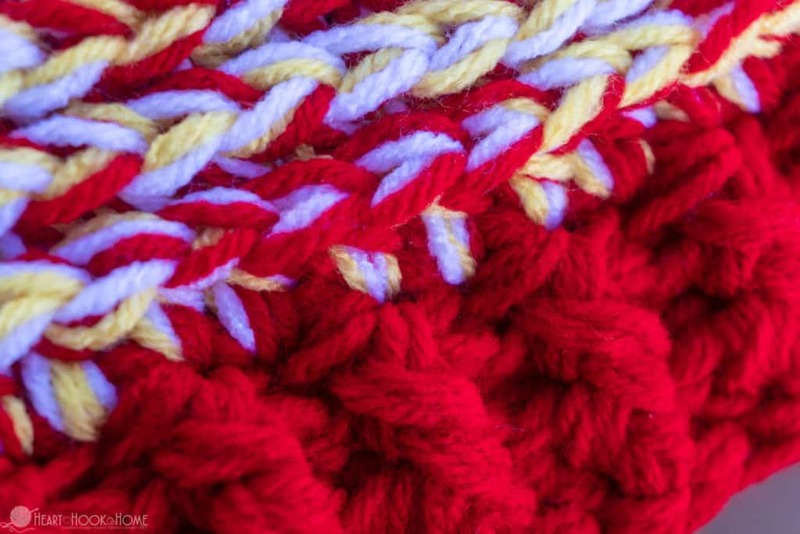 Now, I did use three strands of red for the brim of mine, so if you’re planning to make a bunch of them for family or to sell (you are free to sell finished beanies, just do not use my photos to represent your work, and reference this pattern. 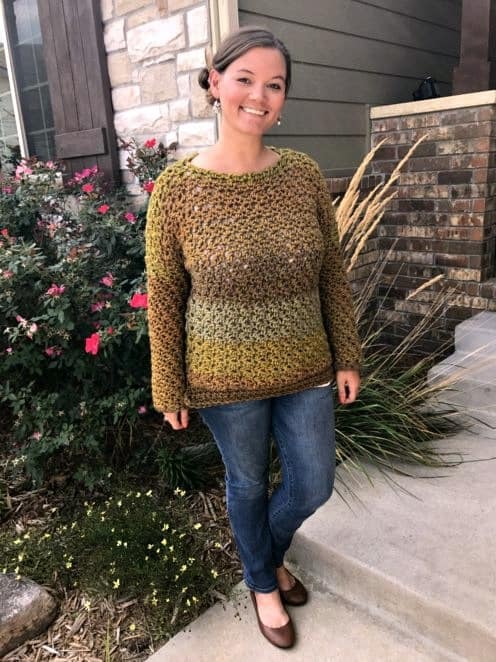 See more here), you might want to vary the brim color, or buy an extra skein of the “main” color. Using your yarn needle, cinch up the remaining sts. Weave in all ends. 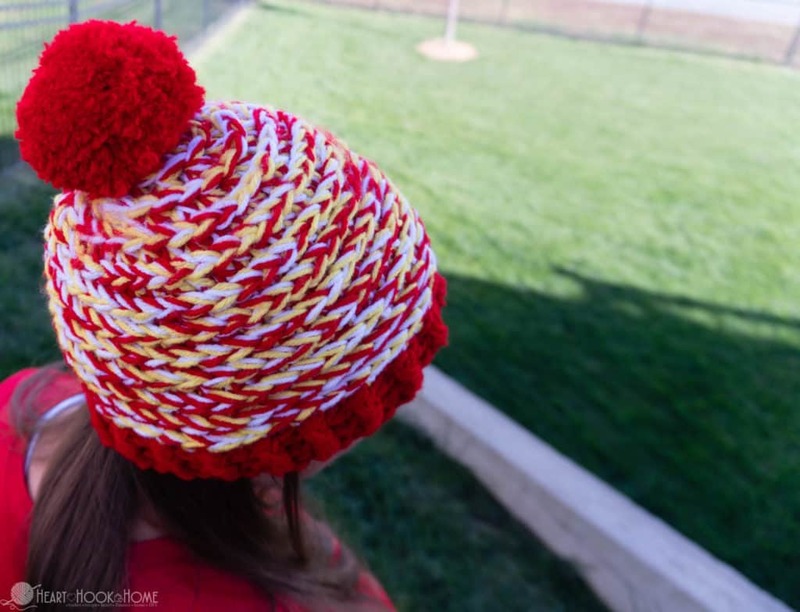 Now, you may want to add a pom pom to your beanie. There are many ways to make pom poms, even using items around the house or your hands! Hello! What do Fphdc, bphdc, and hdc2tog stand for? Thanks! Hi Jackie! Fphdc is Front post half double crochet...Bphdc is Back post half double crochet...and hdc2tog is half double crochet 2 together. Hope this helps! Thanks so much! 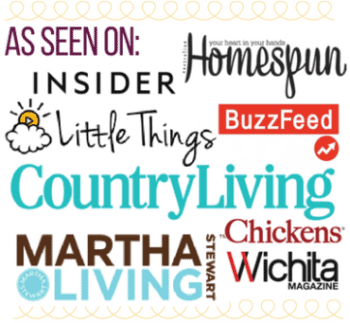 Love your website and I can't wait to try this one out! If I only used one strand for the brim would that work? Hi Theresa! You could certainly try it! I would go down to an I hook for the brim and start with maybe 65ish stitches...then when doing the main portion of beanie try to evenly space 40 stitches around using the larger hook and extra strands. Hope this helps and good luck! I have the same problem! My husband has started attaching them for me. He seems to be able to get them on tighter than I can!